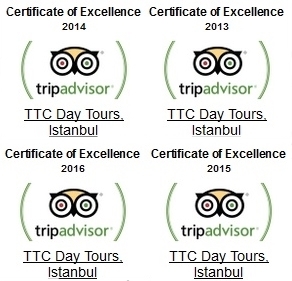 Istanbul, Cappadocia, Ephesus and more.. 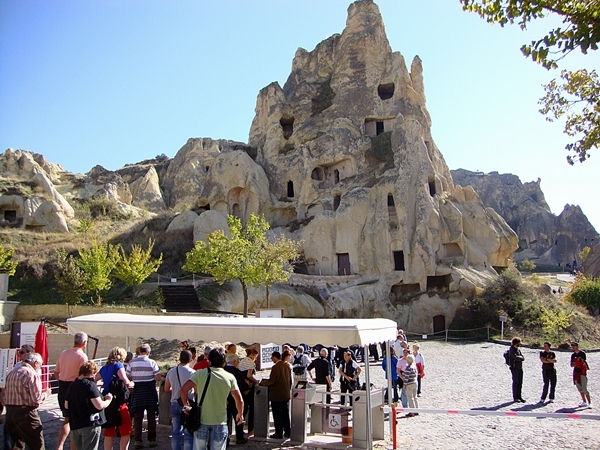 While researching an up and coming trip to Cappadocia, I soon learned the number one attraction was the Open Air Museum of Goreme. Standing in the centre of the region, it is a mass collection of historical monasteries and cave churches. Within some of those churches, exist the finest specimens of ancient Byzantine frescoes. Adorning the walls and ceiling, they portray scenes from the Bible and the reason for their existence is when word of Christianity first began to spread, most locals could not read or write. Unfortunately, when the region fell under the rule of the Ottoman Empire, the cave churches were often used as pigeon sheds, because the locals were not aware of their historical importance. It took many historians many years to carefully clean the frescoes and return them to their original condition. As a member of the UNESCO World Heritage list since 1984, most of the churches date from the 10th to 12th centuries. I decided that it would be the first attraction on my bucket list and upon arriving in the region, walked up a steep hill from Goreme town centre. Despite my extensive research, nothing could prepare me for the inspiring, rocky landscape that stretched out in front of me. 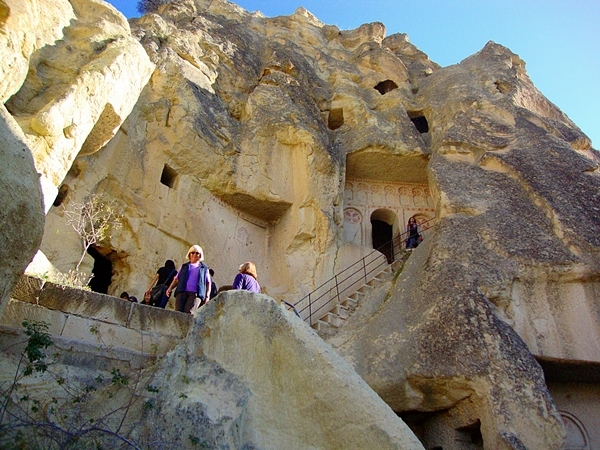 Weather erosion had created the rocks into unbelievable shapes and small entrances led into manmade cave churches. My guide explained each church in depth and without realising it, I imagined life as a persecuted Christian fleeing the Romans and living in fear of Arab invasions. Dedicated to an Egyptian woman who was killed by her father for following Christianity. Built in the 11th century and displaying frescoes from the New Testament. Named because of two footprints connected to many urban legends and myths. To enhance the experience, visit with a tour guide who will give in-depth information on the history of the churches. 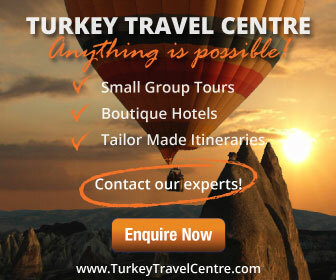 You can see our wide range of Cappadocia tours here. Otherwise, please just email us if you have any further questions or requests. 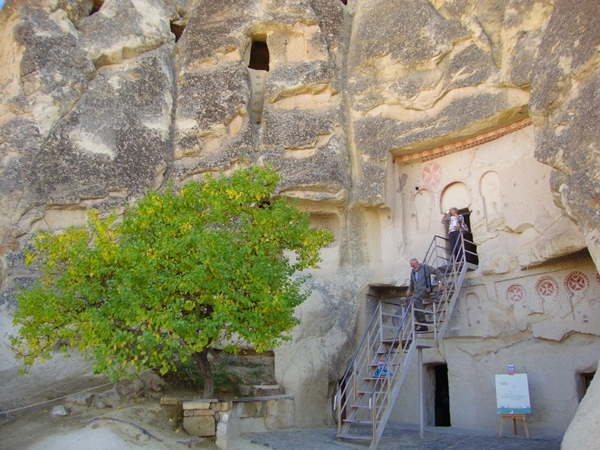 Further Reading: To learn more about the importance of Cappadocia and the beginnings of Christianity in this region, read about the Cappadocian fathers. Note : To preserve the ancient frescoes, flash photography is forbidden.